Belta is a small delightful decorative font family created by Julia Martinez Diana and published by Antipixel, a private Argentina based type and lettering studio. 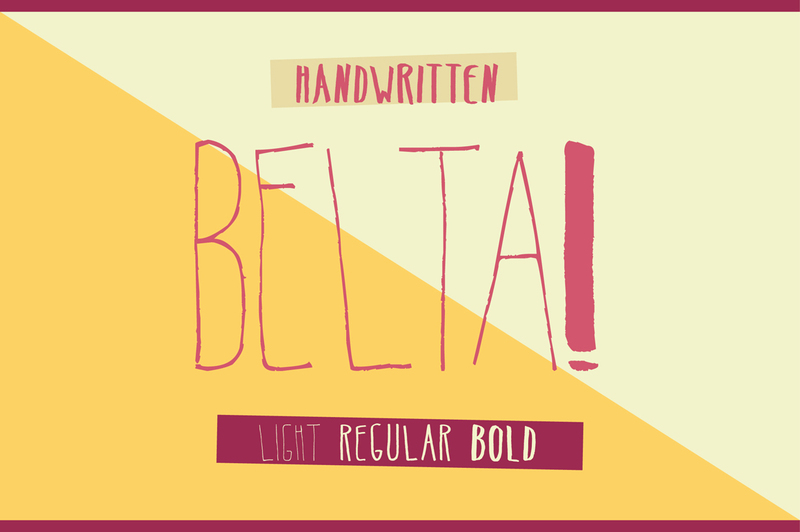 Consisting of three weights, Belta is small crayon script that is great for display usage and small amount of text. Keep Belta under your belt, you’ll probably need it sometimes! A font description published on Wednesday, July 6th, 2016 in Antipixel, Fonts, Julia Martinez Diana by Andrei that has 2,103 views.